Rowing gives a great total body workout. It uses all of the main muscle groups with an emphasis on your legs and back. On top of this, it’s a great cardio workout too, burning a large number of calories by using so much of the body and requiring constant movement. Rowing can be used to supplement other workouts, though true professional on-the-water rowers will need more than that. As heart rate monitoring is getting more accessible, it’s become a favorite method for rowers to track their performance and adjust their training. Our top recommendation for most rowers would be the Garmin Fenix 5 Sapphire Edition. 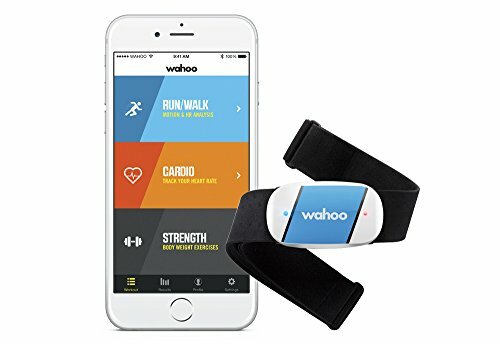 Technology has developed to the point where heart rate monitoring is used by plenty of athletes all over, and it isn’t really all that difficult to find a good, accurate heart rate monitor. This is why we’ve broken our recommendations into slightly different categories, with the extra features on top of pulse monitoring making each recommendation stand out in its area. While this didn’t win our Best Garmin for Triathletes recommendation, it would have if the article was based on rowers. 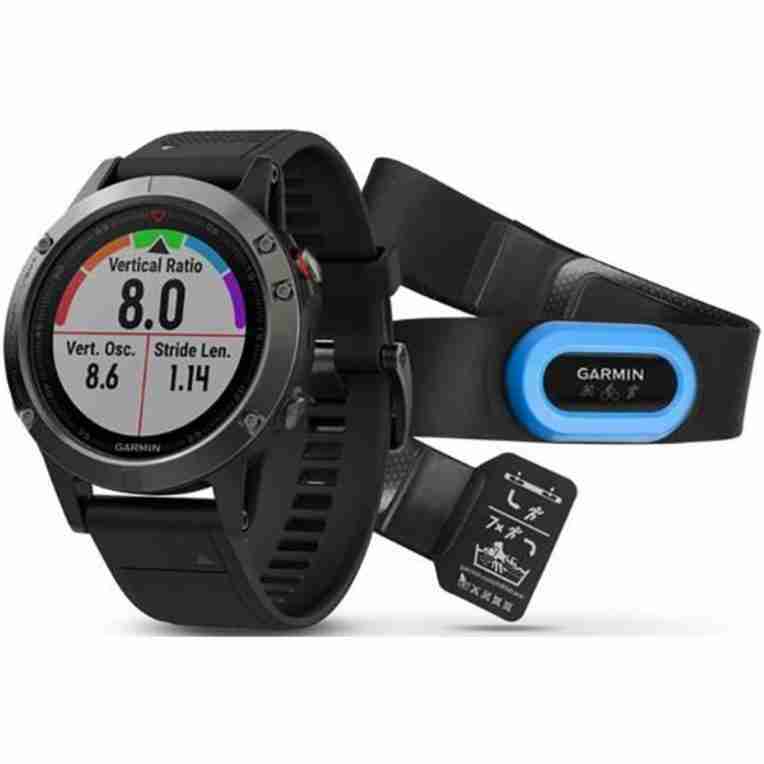 Garmin are of course a well-known brand for fitness and outdoor watches. They provide top quality watches with a variety of looks and features. The Fenix range is a little more formal looking than some of their alternatives, but this isn’t why we chose it. The Fenix range is actually one of the few Garmins which doesn’t just monitor heart rate and other fitness data, it also has a specific stroke monitor – essential for competitive rowers everywhere. Combining a vast amount of data including heart rate and GPS with a practical and easy to use watch, plus the accuracy of a chest strap, meant the Fenix was tipped into top spot. 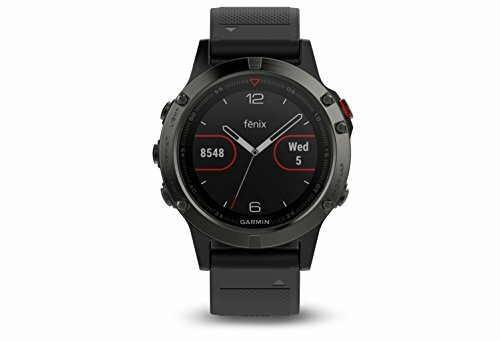 The Fenix 5 Sapphire Edition is preferred because it has wi-fi connectivity to make data transfer a piece of cake, plus it has a scratch-proof lens. While the watch itself isn’t entirely waterproof, it is water resistant. This is enough to keep it safe and working in a rowing environment, and while water resistant usually only means a few splashes, this is actually marketed as being water resistant up to 100m! The Fenix 5 can survive being splashed or sprayed with water and doesn’t lose any reliability. Even a brief dip in the water shouldn’t be an issue, though just because they mark it as water resistant and not waterproof, I would be careful about keeping it submerged for too long. For the chest straps there is a completely waterproof swimming version available too, though again you shouldn’t really need this level of waterproofing, so the regular running strap should do just fine. If you are interested in monitors suited for waterproof usage, such as triathlon training, we have a couple of suggestions in our Best Triathlon Heart Rate Monitor article. The lens on the Fenix 5 Sapphire Edition is totally scratchproof. With the cost of a Garmin watch, this is an important thing to look for because damage can really ruin the look and leave you regretting the investment in a top monitor like this on. The large face has been designed to make this easy to view. The digital display on this watch lets you choose from a lot of different looks to suit your style and whatever info you want displayed. From there, it’s easy to quickly glance at your wrist and see live feedback on your rowing session. The larger display really helps here because you’re probably going to be moving fast and it’s important that the info is visible in this situation without you needing to slow down or break stride at all. Garmin are known for producing top quality sports watches and trackers. With the Fenix range they aim for more of a traditional look so the watch looks less sporty and more like an everyday watch. This makes it more than just a heart monitor, giving the Fenix 5 the looks of an everyday fashion watch combined with the function of a great heart monitor and fitness tracker. This article is aimed mainly at heart rate monitors, though the Garmin Fenix 5 offers a lot more than just pulse tracking. It has a number of features which are great for rowing, like a stroke monitor and an accurate GPS which can monitor split times on the water. The watch has Bluetooth connectivity as well, whilst the chest strap can sync up to the watch using ANT+ technology. 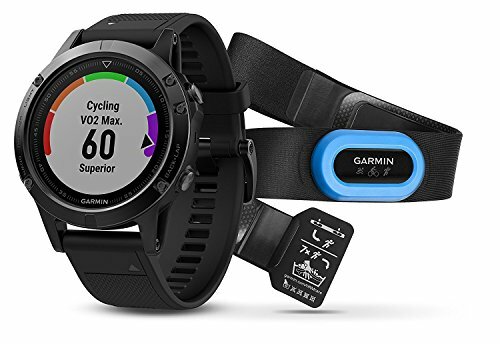 The main drawback which keeps people away from Garmin is the price. The price reflects the level of quality in their products, so don’t expect to pick one up cheaply. It’s the most expensive of our monitor choices but it’s also versatile and capable of a lot more than just heart monitoring. In this case you have to wear two pieces of equipment – the Fenix 5 itself and the Garmin chest strap. The chest strap gives you reliable, accurate heart monitoring using ECG technology, whilst the watch is the data collector and control device. The watch itself is a little heavier than some alternative fitness watches, making it less desirable to a few rowers. The Polar H7 is one of the best ECG chest straps available from Polar. 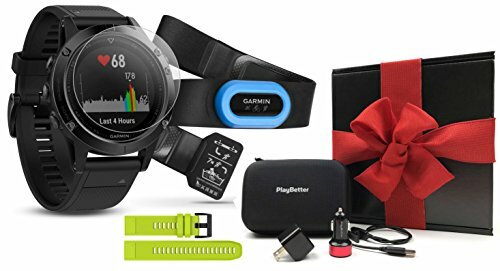 It’s compatible with the rest of their products as expected, and also has general Bluetooth connectivity so it can be used with any Bluetooth fitness watch or your phone. As chest straps go, this one is super comfortable to wear. It comes in two sizes which should fit most people easily. The material is soft and flexible so there’s no chaffing or tightness when worn. It’s simple to adjust these straps too. Battery life on the Polar H7 heart monitor is simple incredible. Removing the sensors after use while cause it to power down completely, and when this is done people have quoted years of use without needing to change the battery! Being a simple and well-designed strap, this has enough water & sweat resistance to keep on ticking for a while. It’s so simple to clean as well, and is pretty tough & resistant to wear/tear or aging. The Polar H7 is a chest strap only unit, so you’ll need a separate receiver. That could be a compatible Polar Watch or any other Bluetooth watch/phone. Just keep in mind that the strap is only one part of what you need to track data, and you will need to carry the receiver with you. 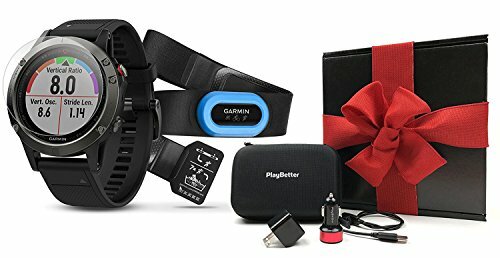 Whilst you might find apps on your receiver which offer extra functionality, and a Polar watch would certainly do this, the chest strap itself is only a heart rate monitor and doesn’t give any extra features. ANT+ is a type of wireless technology used by a variety of devices, often fitness watches. ANT+ is used so that devices can be cross-compatible and not just limited to one brand. It’s more discreet and secure than Bluetooth too, so some users prefer it for that reason. On the flipside, the Wahoo TICKR actually has the option to broadcast via Bluetooth as well, so you get the best of both worlds! With a strap that clips together at the front, right where the monitoring unit is, this couldn’t be simpler to use. It sits nice and snug in place and beams the data to whichever device you’ve chosen. Having the fastening at the front makes it easy to access. The straps are also adjustable and this is easy to do as well. The fabric used on the Wahoo TICKR is incredibly soft compared to many other straps, and even just edges the Polar H7 in terms of comfort. For price you’re going to struggle to beat this chest strap without sacrificing either quality or connectivity. 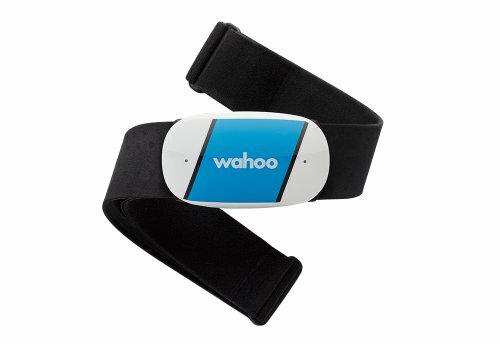 The Wahoo TICKR one of the cheapest heart rate monitors on the market. Again there aren’t any real extras as the Wahoo TICKR is only a chest strap unit. Once again you need a receiver to make use of this heart rate monitor. While this company doesn’t manufacture or sell watches, the device can pair with almost any type of fitness tracker. There are plenty of rowers who don’t like the feeling of a chest strap. Some find them uncomfortable or awkward to find in the right size, whilst others don’t like the feel of a big strap around their chest when they’re overheating and sweating. Today we’ve found a great alternative – the Moov HR Sweat. With technological improvements, we now have ECG devices that are getting smaller and smaller. This headband is itself an ECG monitor, giving top-rate accuracy despite being a smaller unit than most chest straps. It uses the pulse at your temple to get an ECG read and keep track of your heart rate. Made from a soft, durable material this strap stays in place and is comfortable. It’s made from a stretchy fabric with enough give for size variations. The softness is extra important because it will be on your head, and the non-slip feature keeps the pulse monitor over your temple at all times. 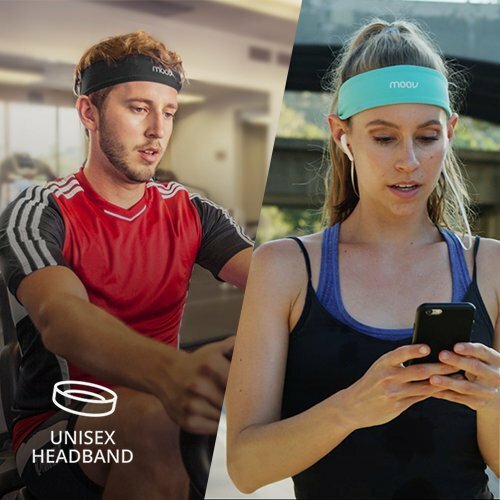 The Moov HR also doubles up as a sweat headband! While not everybody will consider this a pro, it is a unique new type of product and stands out from the crowd. This is great for people who like to be early adopters or who like to stand out from the crowd! 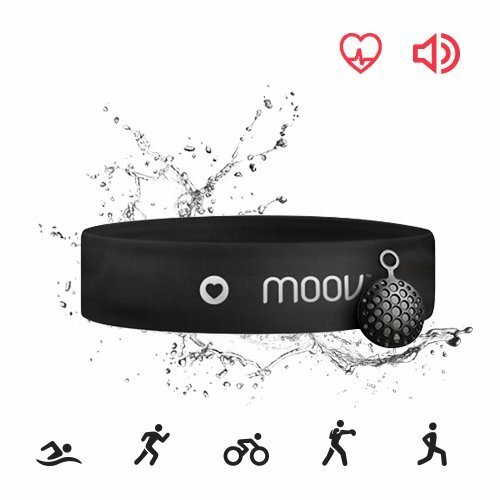 As mentioned, the Moov HR Headband will need a receiver to transmit data to. Generally speaking a phone is best with this particular monitor. When it comes to heart rate monitors, the important thing is deciding what you want. For example, the Moov HR is great for anybody who doesn’t like chest straps yet wants ECG accuracy. 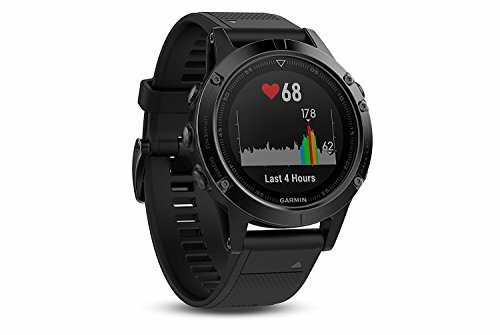 My recommendation for overall use would be the Garmin Fenix 5 Sapphire Edition with Chest Strap because it gives the deepest tracking potential and you also have an awesome watch as part of the deal! For anybody looking at cheaper options, the Wahoo TICKR is the one I’d suggest. It’s comfortable, accurate and cheap with the ability to pair up with any ANT+ or Bluetooth device. Talk about versatility!